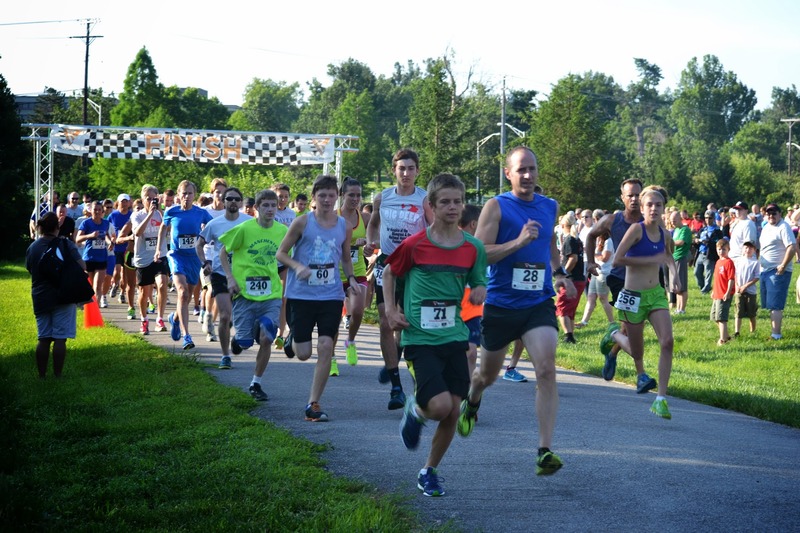 LBX Company, makers of Link-Belt excavators, will host the second annual LBX Dig Deep 5K run/walk on Saturday, July 12 at Coldstream Park in Lexington, Kentucky. All proceeds will go to the Pulmonary Fibrosis Foundation, which serves as the trusted resource for the pulmonary fibrosis (PF) community by raising awareness, providing disease education, funding research and providing assistance for PF patients. In addition, LBX Company has pledged to match 100% of all proceeds raised that day. The race is scheduled to begin at 8:30 a.m., running along the beautiful Legacy Trail at Coldstream Park. Early registration is $25 by July 4, then $30 through race day. Race day registration and packet pickup will begin at 7 a.m. at the Embassy Suites on Newtown Pike. Parking for the event will be located across from Embassy Suites at Bingham McCutchen or Medtech College. Last year’s LBX Dig Deep event attracted over 275 runners and walkers of all ages throughout Central Kentucky, raising $13,000 for the National Hospice Foundation and the Hospice of the Bluegrass. Race director Stephanie Banks said, “Our decision to run for the Pulmonary Fibrosis Foundation this year came after learning that a coworker was diagnosed with pulmonary fibrosis. Ken is a devoted father and grandfather with an infectious laugh and a jovial smile. He is the kind of guy you just want to be around. When Ken came into my office carting a portable oxygen tank and wearing a nasal cannula, I was saddened to hear that he had been given a short time to live, with the only cure being a lung transplant. LBX Dig Deep sponsors include Wilson Equipment Company, Copy Express, De Lage Landen, Bingham Greenebaum Doll, Lexington Legends, Bank Of the West, 5/3rd Bank, Wells Fargo, North Broadway Auto Sales, SGL, Mirazon, QX.net, Grant Thornton, Crossfit859, Kentucky Underground Storage Inc. (KUSI), Lexington Parks & Rec, Robert Half, Commonwealth Technology, S.W.O.R.D. Hydration and TrinSoft. More information can be found online at lbxdigdeep.com or facebook.com/lbxdigdeep5k.